It's no secret that first ice is the time to go hunt brookies. It's something I do each and every season. But what isn't so obvious is the fact that because of the approaching spawn all these brookies are in shallow and present some truly outstanding fishing before freeze up. These are the days I've kept to myself for many years. I can usually sneak out a time or two each fall and I love every minute of it. 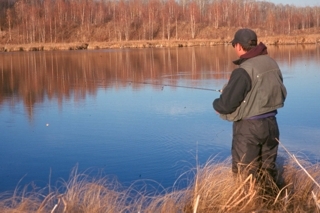 This type of fishing is the perfect mixture of outdoor flavor, pace and results. Come fall, colors will linger, the days are calm, the skies blue and there will be a crispness in the air. In the water I can usually see the brookies swimming about - lazily moving in pods of a few to several. Their richness in color evident, even while standing on shore. There is no hurry to the whole thing, the fish don't bolt, dash or dart. They merely move about, right in front of me in their slow but steady pace. The way I fish for them matches their mood exactly. 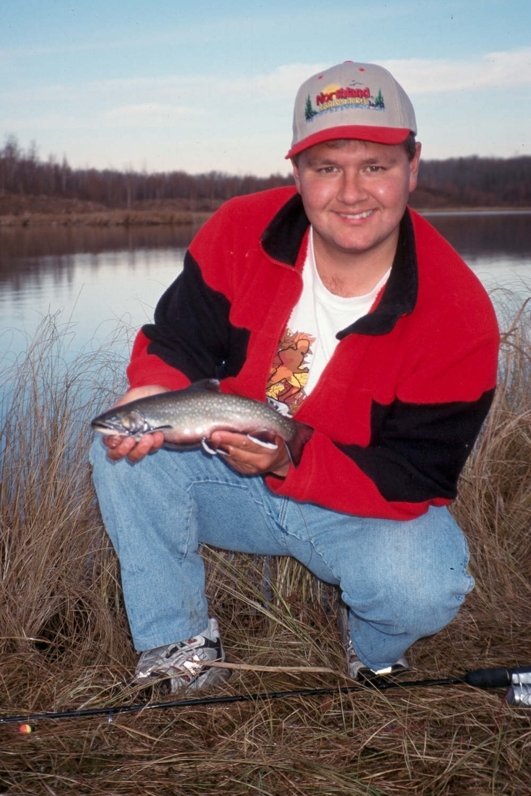 My favorite ticket, a tiny piece of trout worm or dew worm suspended sometimes a foot or less under a dime sized bobber, then left to sit there. 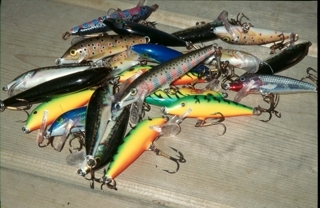 In their own time the brookies will come over, check out the bait and pick it up. I often watch the fish move in to investigate. I've watched them swim around the bait, sometimes several times before finally deciding to bite. And when one does, all I do is lift the rod and the hook is set. In so many lakes fishing for brook trout is great before freeze up. 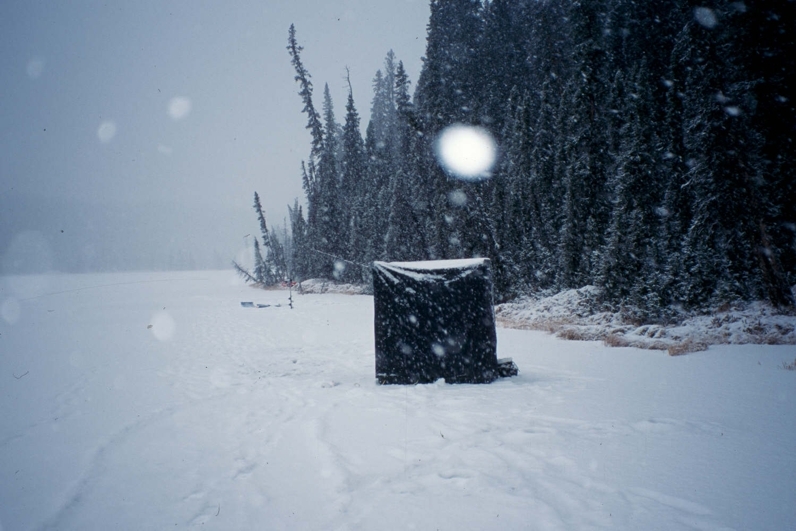 In fact, I find the pre ice fishing season better than the ice fishing itself. The fish seem to be hungrier and more willing to bite. The fall bite, however, is often very subdued and best way I've found to fish for brookies is by matching my presentation to thier mood. Slow and steady most days wins out over fast and active. There is a daily exception to this belief and that's at last light. I found this out one evening while fishing a brook trout lake not far from home. As darkness settled in, my small bobber was getting hit more and more often, especially as I moved it. I was curious. 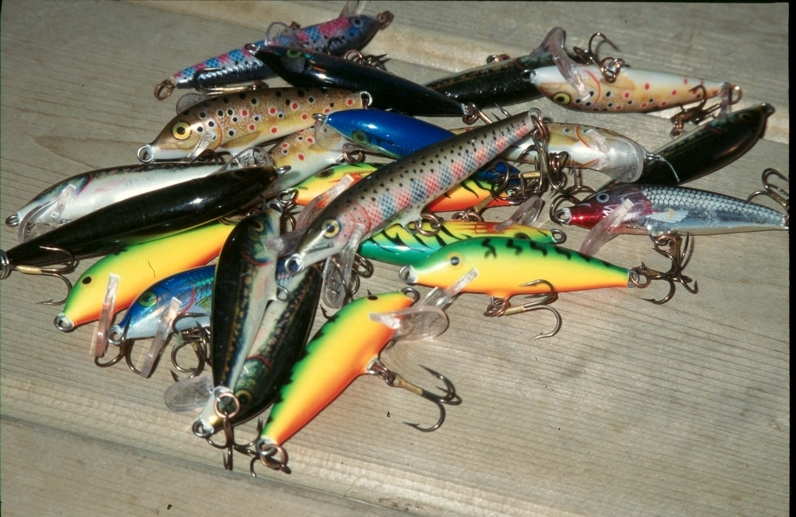 Going on a hunch I switched up to small floating #5 Rainbow Rapala plug and cast it out. After it settled and the rings on the water had dissipated, I gave it a few small twitches and left it. A couple more twitches and a brookie lifted up and struck. I had rarely caught a brookie on a plug before, but on that evening, I caught a bunch. Since then I've found that not only small plugs, but small spoons fished over those shoreline areas will trigger a brookie bite. But as is the case every year, soon lakes will lock up in ice and the pre ice fishing season will come to a grinding halt, but don't despair. There's lots of great ice fishing ahead. 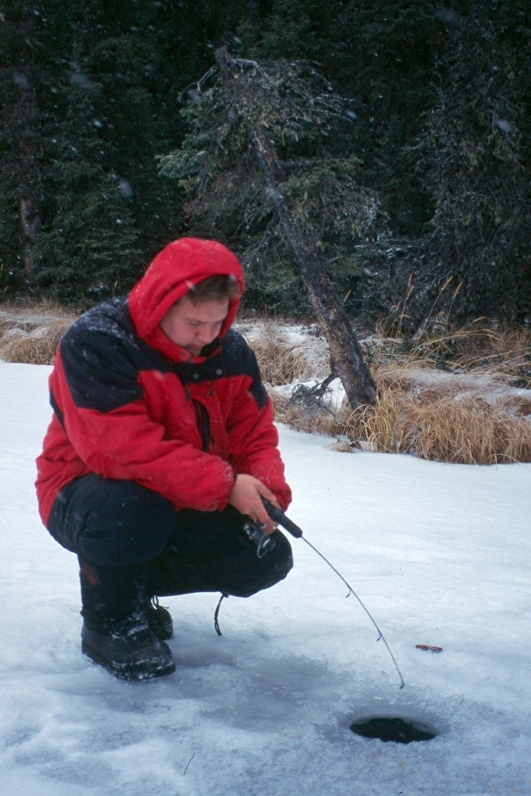 When it comes to ice fishing, I work the shorelines moving up and down until I find fish. I'll never give an area more than 15 minutes if no fish are spotted, because if there are brookies around, they'll surely show themselves in that time. Being able to see the fish swim under the hole and bite my hook is the part I really like about fishing brookies at first ice. I can look down and see fish. I fish shallow because that's where they are. Rarely do I fish over ten feet and most often I'm fishing six feet or less. Any area that's known to have gravel or rock will be a brook trout magnet so I keep an inventory of these areas and return to them when the ice comes. 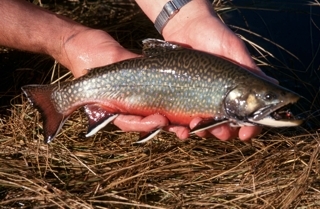 The challenge about fishing brookies at first ice is that there are multitudes of little ones in shallow, while there are fewer larger ones. 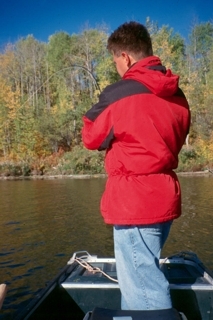 By shear numbers and a lack of caution, the little ones are almost always first to the bait and first to bite. I've found that I can sometimes coax a little one to spit out the hook by giving the line a gentle tug allowing the bait to drift down to a larger brookie below. When it comes to first ice, I always, always bring bait. Worms and maggots are my go to presentations and I keep the size on the smaller side. Brookies like real food and these two are hardy and have a knack for getting the job done. I use small hooks, light line and try not to doll the presentation up very much. Simple catches fish and that's all there is to it. 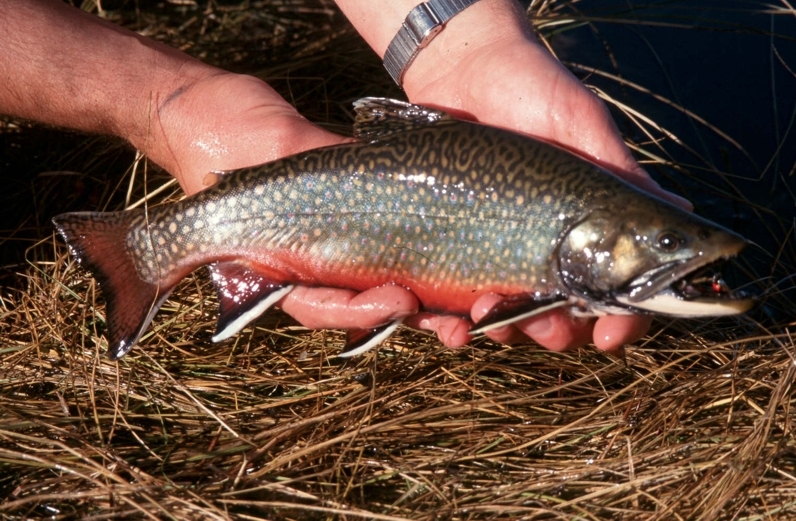 Regardless of whether it's pre ice or first ice, there are lots of brookies to see and catch. And for me, seeing and catching a lot of brookies is a lot of fun.